It’s been well over a year since I spent a night at Oliver Lee Memorial State Park near Alamogordo, NM. It was autumn of 2017 when I stayed at the park, and I was sad because The Man and I were in one of our off-again phases. This post will not be the most in-depth of my reports on a New Mexico state park, but I’ll tell you about the basics. I’d left the primitive camping area at Brantley Lake State park with a final destination of Truth or Consequences, NM. I decided I’d visit White Sands National Monument on my way since I’d never been there before and always heard it was a magnificent place. My New Mexico State Parks Pass was firmly attached to my windshield, so I could camp in any developed site in any New Mexico state park with no out of pocket expense. View of mountains surrounding Oliver Lee Memorial State Park with the visitors center visible on the middle of the left side. I knew Oliver Lee Memorial State Park was a bit out of my way, but I didn’t realize it was quite so far out of my way. I didn’t mind the extra miles I drove to get to the park since my pass got me in at no additional cost. 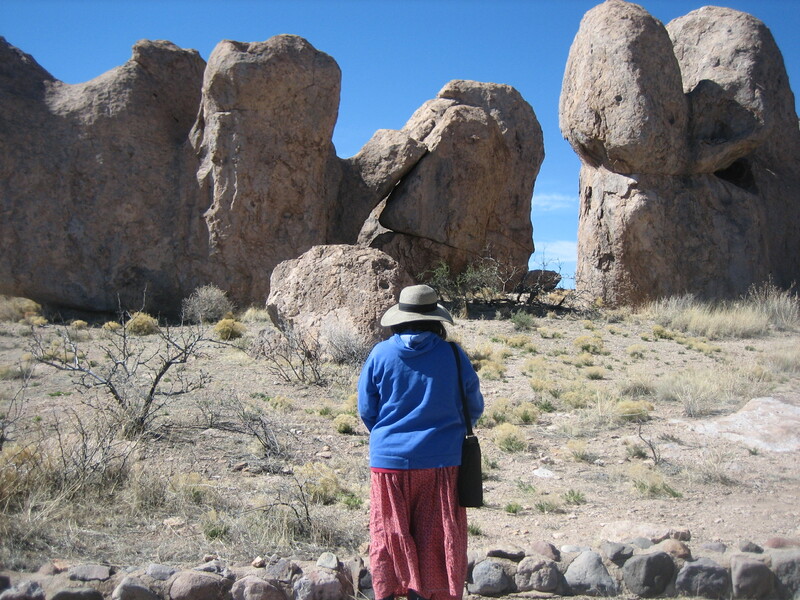 Also, I like to see new places and was enjoying my tour of New Mexico state parks. However, if I didn’t have the annual camping pass, I wouldn’t necessarily to go out of my way to spend one night at the Oliver Lee campground. 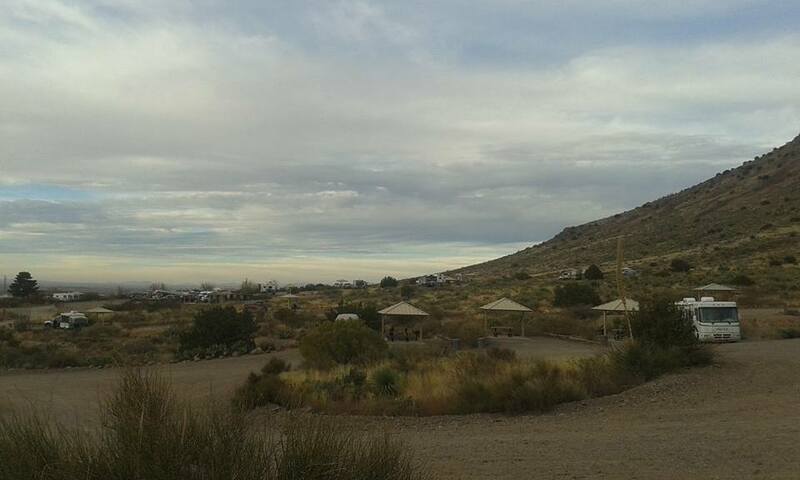 I arrived at the state park late in the afternoon, after eating at an Asian buffet in the White Sands Mall in Alamogordo. I drove the 17 miles not really sure where I was going but following the instructions of the Google Maps lady who lived in my phone. I didn’t realize until the next morning that to get to the park, I passed the turn off onto Highway 70, the road that would take me to White Sands National Monument. I typically hate backtracking, but I didn’t stress out too much about it since doing so allowed me to visit a new-to-me state park. Site #32 Can you see the moon to the right of the mountain? When I arrived at the campground, I drove around the two loops looking for a developed site with no hookups. I settled on site #32. I knew I should go to the visitors center and learn something about the area, but I just felt blah. I really only wanted to stay close to my van and digest all the food I’d stuffed down my gullet at the Asian buffet. I did hang out at the van for a while, then decided I should go for at least a short walk. When I’d arrived at the campground, I saw a sign pointing to Frenchy’s cabin. I wondered who Frenchy was and why s/he had a cabin in the park. I decided to walk over there and investigate. The remains of Frenchy’s cabin. If I remember correctly, the rock wall is original, but the brick wall has been rebuilt where Frency’s house once stood. Frenchy mysteriously met his end just after Christmas in 1894, when he was found dead in his cabin, a bullet in his chest. Although the local authorities determined it was suicide, historians believe it was more likely that someone murdered him in a dispute. It sounds like the first chapter of a Tony Hillerman novel or a Western movie starring Clint Eastwood! After I checked out the remains of Frenchy’s cabin, I took a walk to visit the shower house. I found the facilities clean and well maintained. After using the flush toilet and washing my hands, I went over to one of the showers and turned on the water to determine if it would get hot enough for my comfort. Yet again, I found a New Mexico state park with no hot water in the shower house. While there was NO WAY I was going to take a cold shower, I wasn’t too sad because I was headed to the hot, hot water in the bathhouses in Truth or Consequences. During this period, Lee was involved in a controversy involving the disappearance of prominent New Mexico Lawyer, Albert Fountain, and his eight-year old son, Henry. The bodies were never found, the case against Lee and others was circumstantial, Lee was acquitted, although the mystery remains. Oh boy! Sounds like another Tony Hillerman/Clint Eastwood plot. I guess the wild, wild West was no joke! Apparently Oliver Lee built a ranch house too and folks can visit it, but only with a guided tour. You can call the park (575-437-8284) to find out when you can take the tour. Those are the Sacramento Mountains you see in all the photos. They look pretty rugged, don’t you think? After I determined I would not be taking a cold New Mexico state park shower, I went back to my van and hung out until it was time for bed. I wanted to get to bed early so I could wake up before the sun and head out to White Sands National Monument. Before bed, I decided I should visit the restrooms. Luckily I grabbed my Luci light because it was DARK out there. Some of the RVs had lights on their campsite, but there were no streetlights lighting the way to the restroom. I actually appreciated the lack of light pollution so I could get a good luck at the night sky. I did go to bed early and I did wake up before the sun. Before I hit the road, I was rewarded with the beautiful beginnings of a sunrise coming over the mountains in the east. Oliver Lee Memorial State Park was a lovely place to wake up. Sunrise over Oliver Lee State Park. The New Mexico State Parks Annual Camping Pass, is a great deal for anyone who wants to spend more than month exploring the state and staying in the campgrounds of its state parks. The Man and I both bought New Mexico State Parks annual camping passes in the fall of 2017 and camped at several of the state parks campgrounds separately and together. I’ll tell you everything I know about the New Mexico State Parks Annual Camping Pass (abbreviated to NMSPACP in the rest of this article) so you can decide if it’s right for you. Sunset in the day use area at Brantley Lake State Park. If you lose your annual camping permit, no problem! You can get a replacement for only $10. 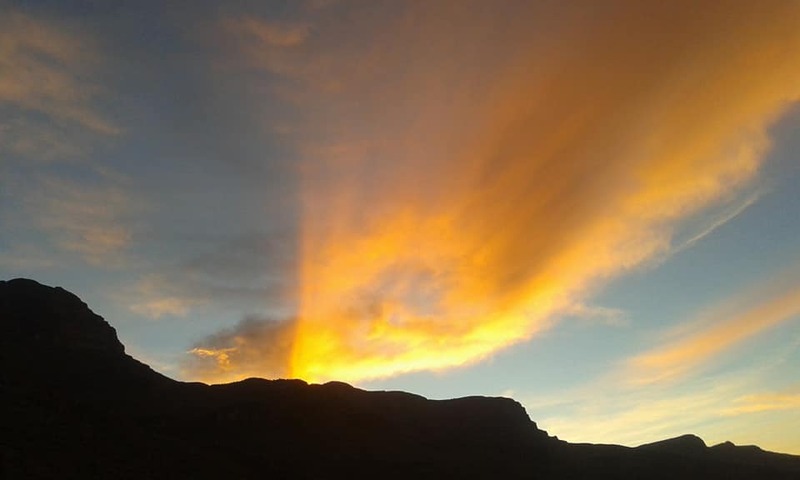 If you are a resident of New Mexico with a disability, there are several things you can use to prove your disability to the satisfaction of the folks at the New Mexico State Parks. See the aforementioned fees, permits, and rentals page to find out what documents you need to get your reduced-rate permit. Permits for seniors and folks with disabilities can only be purchased at the New Mexico State Parks’ Santa Fe Office, located at 1220 S St Francis Drive #215 or at any New Mexico State Park Visitor Center. The passes for New Mexico residents and out-of-state residents can also be purchased online. I purchased my pass in person at the visitor center at Leasburg Dam State Park, so I don’t know if there are any extra charges for buying the pass online. 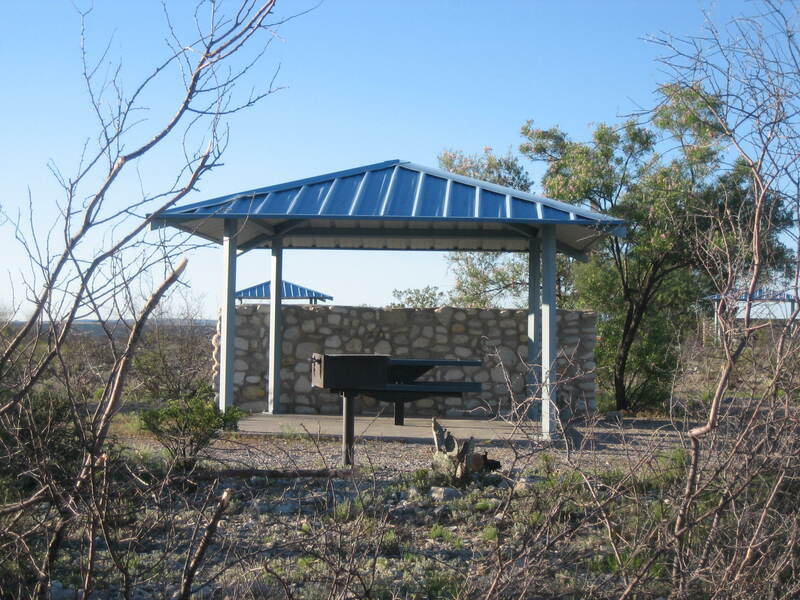 Primitive campsites offer no special facilities except a cleared area for camping. Sites may include trash cans, chemical toilets or parking. Primitive camping also offer no designated sites. You’re basically boondocking when you camp in a primitive area at a New Mexico State Park. This is what the developed campsites look like at Brantley Lake State Park. 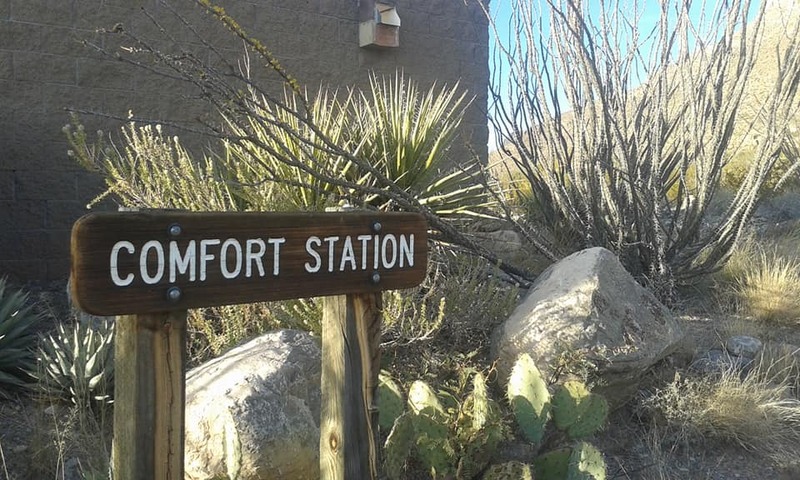 Beware: At this park, ALL developed sites have electric hookups, so if you plan to stay in the campground, you’re going to have to pony up $4 a night, even if you have the NMSPP. shade covers too.These campsites tend to be in campgrounds, closer to toilets (either flush or pit, depending on where you are) and sources of potable water. 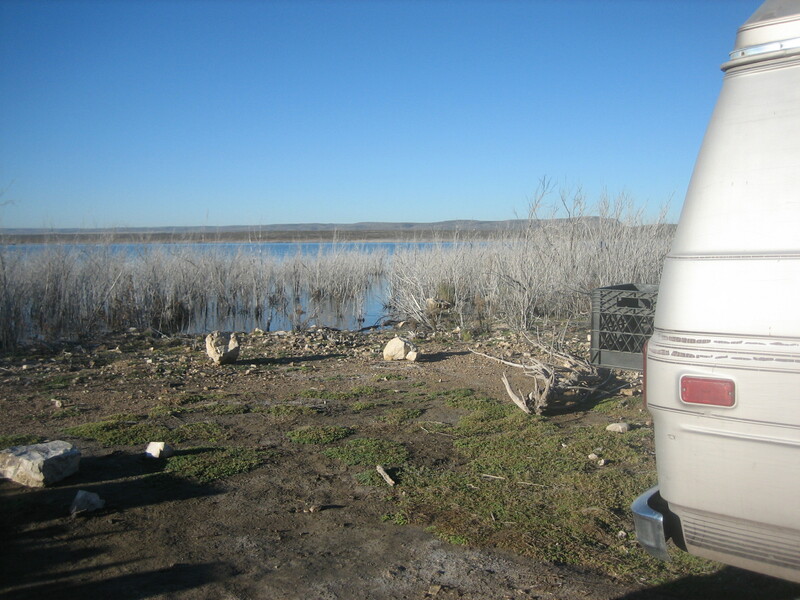 I’ve stayed on developed sites at Brantley Lake State Park, Percha Dam State Park, Elephant Butte State Park, Rockhound State Park, Leasburg Dam State Park, and Oliver Lee Memorial State Park. The Man spent some nights at City of Rocks State Park; while I have visited that park during the day (and think it’s a gorgeous place), I’ve never had the pleasure of camping there. Your NMSPACP does NOT provide for free electric or sewage hookups. If you have the annual camping permit and want an electric hookup, it will cost you an additional $4 per night. A sewage hookup if you have an annual camping permit will also cost an additional $4 per night. If you have the annual camping permit and you want both an electric and sewage hookup, that will set you back $8 per night. 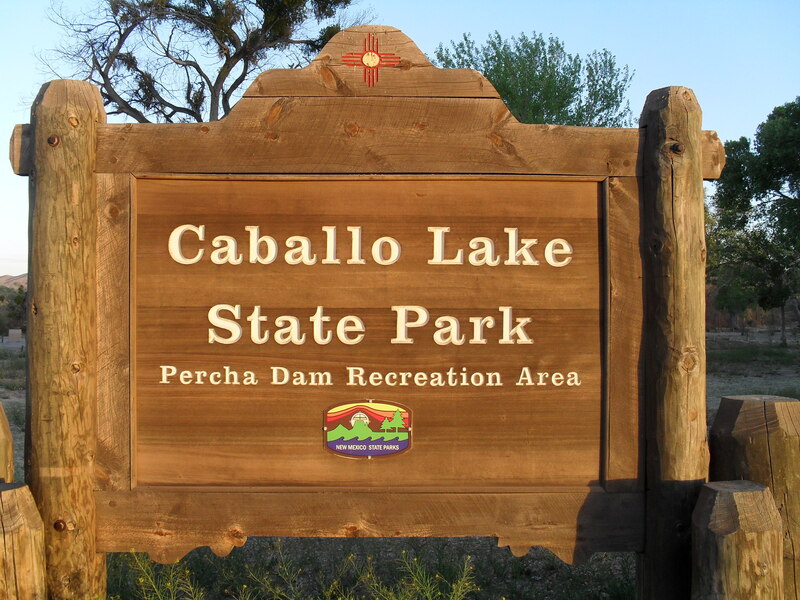 New Mexico State Parks do not charge for water hookups where they are available. Sunset over Oliver Lee State Park. Campers may reside in a park for a maximum of 14 days during a 20 day period. Campers shall completely remove camping equipment and gear from the park for 7 calendar days during the 20 day period. Here’s what that means if you have a NMSPACP. You can stay in any New Mexico State Park for up to 14 days, then you have to leave that park. However, you can go directly to another New Mexico State park and stay there (for free if you camp in a primitive area or on a developed site with no hookups) for seven days, then turn around and go back to the park you left a week ago. If you wanted to save money on gas, you could stay in an area where there are state parks not too far from each other (such as Elephant Butte Lake State Park, Caballo Lake State Park, and Percha Dam State Park or Rockhound State Park, Pancho Villa State Park, and City of Rocks State Park) and go in a circuit from one to another, staying two weeks at each. 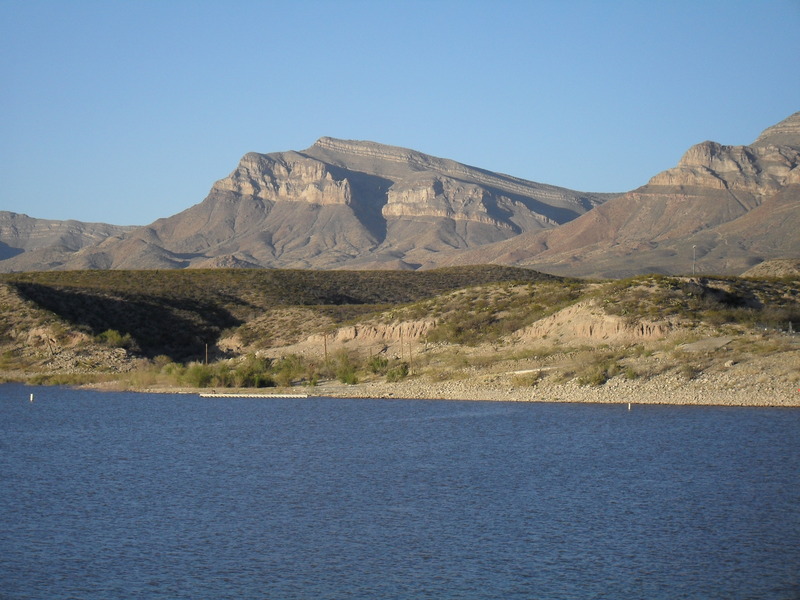 This was my view of Caballo Lake when I stayed in the primitive camping area of the state park. I bought my NMSPACP early in November 2017. When I bought it, the park ranger gave me a sticker to attach on my windshield. This sticker showed that I was a pass holder and it gave the expiration date of my pass. At the time I purchased my pass, there was space for the month and the year the pass expired. (The passes may be configured differently, depending on when you read this post.) My pass said it expired 11-18 (November 2018). I didn’t think to ask at the time, so I again called the New Mexico State Parks main office to find out if that pass expired on the first day of the month noted on it, or the last day. The answer: the last day! So even though I’d bought my pass early in November 2017, it was good through the last day of the month in 2018. 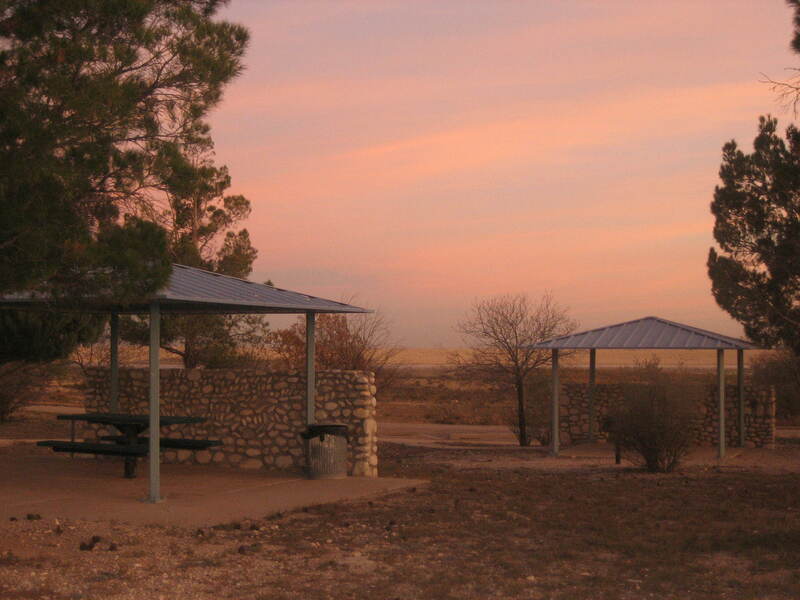 The campground at Rockhound State Park near Deming, NM. I think that’s everything I know about the New Mexico State Parks Annual Camping Pass. If you have questions on topics I didn’t cover, I strongly encourage you to call the New Mexico State Parks main office at 505-476-3355. I’ve called the office several times with questions and the woman who answered the phone was always exceptionally pleasant and helpful. Talking to her was always a joy. The information included in this post is subject to change, especially the information on prices. Blaize Sun is not responsible if the information she gave you is no longer applicable when you read this post; this information is a starting point. Everything was correct to the best of her knowledge when the post was written. You are strongly urged to call the New Mexico State Parks office or check internet sources for updated information. So much cool at City of Rocks State Park.